The initiative is intended to increase the platforms' transparency and accountability. 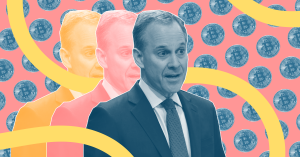 Earlier today, New York’s Attorney General began an official inquiry into the cryptic business practices of companies that make up the digital marketplace for cryptocurrencies. Understanding how these marketplaces actually operate could push officials to actually regulate cryptocurrency in a way that benefits unwitting investors. The AG’s inquiry, dubbed the Virtual Markets Integrity Initiative, marks regulators’ second serious attempt to understand the cryptocurrency platforms (the first one was last month when the U.S. Securities and Exchange Commission (SEC) subpoenaed unregulated Initial Coin Offerings from an unknown number of crypto startups). “With cryptocurrency on the rise, consumers in New York and across the country have a right to transparency and accountability when they invest their money. Yet too often, consumers don’t have the basic facts they need to assess the fairness, integrity, and security of these trading platforms,” said Attorney General Eric Schneiderman in a press release published today by his office. But on a subtler level, the inquiry confirms what we all pretty much already knew: the crypto world is rife with pyramid schemes and other scams (there’s literally one called PonziCoin), no matter how much that cryptobro you know insists that his new coin is, like, going to replace all money as we know it. These hucksters and snake oil salesmen are out to gouge money from consumers who heard the word blockchain once and wonder what all the fuss is about. Regulation, as odious as it may seem to that bro, would protect the average person who might not have the expertise to parse out the good investments from the shams. The AG contacted 13 cryptocurrency platforms and asked them to fill out a questionnaire about their internal operations and business practices. Of those companies, Coinbase is the most notable (the others are: Gemini Trust Company, bitFlyer USA, IFinex, Bitstamp USA, Payward, Bittrex, Circle Internet Financial Limited, Binance Limited, Elite Way Diveleopments, Gate Technology Incorporated, itBit Trust Company, and Huobi Global Limited). The questionnaire that these companies have been asked to return focuses on five key topics, including basic questions about who owns the company, how they operate and charge users, trading policies, trading suspensions, internal controls, and concerns over privacy and money laundering. The Attorney General noted in the press release that some of the findings will be published and made accessible to the public (should these companies comply). The AG expects companies to respond by the end of April. So for now all we can do is comfort our cryptobro friend, and await some much-needed transparency.